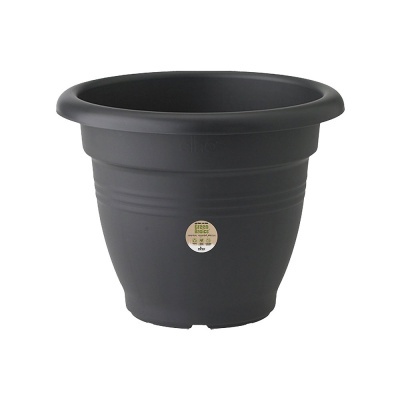 Elho Green Basics Campana Garden Planter 30cm - Living Black offers an elegant shaped garden container with soft curved rim suitable for outdoor or indoor planting. Designed with a pot base especially designed for good drainage with matching pot saucers (available separately). 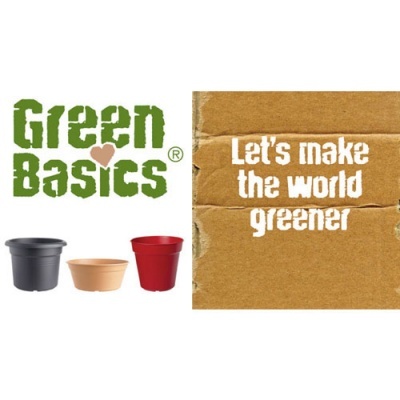 Elho 'Green Basics' range exclusively uses recycled plastic for the environmentally conscious gardener, but still ensures a lightweight but strong planter, that is both UV and frost-resistant.